YBSA ask: To pressure DOE and USBR to build more storage!! YBIP Started 2009! YBSA Purpose: To secure an adequate water supply for Ag., Fish, and Munis for next 100 years. YBIP: We support the Yakima Basin Integrated Plan, but more water and money are needed to make it work. We support Yakima County’s position that the YBIP Workgroup has not made enough progress on storage (Goal is 500 kac-ft). Water Volume Needed: We believe Ag needs around 300 kac-ft of storage, and fish flows we estimated between 200 kac-ft and 800 kac-ft, based on historical flows, as the fish are short of water in good years and bad years. High volumes are needed to mitigate the Thermal Barrier and reactivate side channel functionality for salmon restoration. Therefore, if any of the above in-basin elements fail, the plan cannot achieve its goals. Climate Change: Will further exacerbate water supplies. Every new report from UW Climatology emphasizes the future risk to both fish and Ag water in our Basin, and currently we don’t have enough for both! The reports show the east sides of the Cascades to be at highest risk in the PNW, but not the Columbia headwaters. Kachess Dead Storage: (200 kac-ft) Is vital to attempt, we doubt they can overcome local Nimby forces and National Bull Trout issues. USBR decision (ROD) is expected January 2019. We believe lawsuits will be filed the next day, and we don’t know who will pay, nor how reliable the supply is. Est. cost is $200-$400M. Bumping Enlargement: (160 kac-ft) This will motivate national environmental opposition which, just like the 1986 attempt, aborted storage construction. The 208 USBR storage study dropped BLE, too much opposition. Wymer: (160 kac-ft) Least political resistance of 3 Yakima Basin options, was rejected in 2008 for being as costly as Black Rock per ac-ft of storage. It offers the potential of being supplies from the Columbia River, albeit through the Yakima Firing Center, with very high pumping costs. Thermal Barrier: The Thermal Barrier in lower Yakima River is the biggest threat to salmon restoration. Temps above 71℉ kill salmon. We believe that significant winter/spring flows need to be stored in Flood Plains, then return to mainstem to mitigate lethal temperatures from the Columbia to Sunnyside Dam in July and August for returning Sockeye. We also believe Climate change will further exacerbate this problem. Money: It will take a combination of Junior Irrigator funding. Taxpayer funds, both State and Federal, and additional funds must be garnered form additional benefits. Recreation and Power sectors benefits have not been assessed, let alone maximized. Pumped Storage: Significant benefits can be found by storing water and energy to balance the grid from San Diego to Vancouver B.C. Currently there is an imbalance on the order of 2k megawatts. As western states shift to more intermittent renewables, this number will grow. We believe the Columbia River is on of the best sites on the West Coast for this purpose. We, YCDA and TRI-DEC will host a workshop to discuss needs, benefits, and barriers of such a project Fall 2019. YBIP has yet to evaluate the possibilities for pumped storage. Water planning in the Yakima Basin, in one form or another, has been almost continuous since Chief Kamiakin started watering his garden next to Ahtanum Creek in 1852. With the creation of the Bureau of Reclamation in 1902, design and construction of irrigation reservoirs became a reality, and in 30 years five major reservoirs were completed, with a combined storage capacity of just over 1 million acre/feet of water. Today, eighty-five years after the reservoir system was completed, it is painfully evident that the current water supply and infrastructure are entirely inadequate to meet the challenges of maintaining several billion dollars of annual agricultural production and restoring large runs of salmon and steelhead, particularly in light of a changing climate that is producing less snow, lower stream-flows and higher air and water temperatures. The severity of the challenge is illustrated by the drought of 2015, which cost the Yakima Basin several hundred million dollars in reduced or damaged agricultural production. In addition, due to lethal water temperatures in the Yakima and Columbia Rivers, most of the migrating adult sockeye salmon returning to the Columbia Basin were killed. Unfortunately, the current water planning effort (Yakima Basin Integrated Plan), initiated in 2009, fails to take into account either the challenges of providing water for agriculture and salmon in the face of a changing climate, or the opportunities afforded by our geographic proximity to the Columbia River, and our ability to move electrical power in and out of the basin. Most critically, the current planning effort does not recognize the pressing regional need for electrical power load balancing. Instead of looking forward to the next 100 years, the current water planning effort, led by the Bureau of Reclamation and Washington Department of Ecology, is reminiscent of water planning in the 1950s. The only water supply being considered is that produced within the Yakima Basin. This supply will never meet the needs of both agriculture and salmon in the basin. Vision and leadership are essential components of water planning in the Yakima Basin. The men who conceived the water storage reservoirs clearly understood they were creating a water supply system for the next 100 years. And they provided the leadership to make it happen. Today, the Yakima Basin faces unprecedented challenges with respect to future water supplies for agriculture and salmon. But there are also unprecedented opportunities. What is needed is the vision and leadership to provide water for the Yakima Basin in 2100, only one human lifetime away. Nothing less will meet the challenges of tomorrow and the needs of agriculture and salmon in this basin. Water planning in the Yakima Basin stands at a crossroads. We can plan by looking in the rear view mirror. Or we can, like those visionaries of the second half of the nineteenth century, plan for the next 100 years. But one thing is clear when it comes to water planning in the Yakima Basin: No Vision, No Leadership, No Water. To launch a grass-root campaign designed to educate and raise the awareness about irrigated agriculture and its relationship with Washington State communities and economies. To provide evidenced demonstrating why the Yakima Basin desperately needs increased storage. To illustrate that the Yakima Basin’s economies are in jeopardy if we do not increase water storage for the Yakima Basin. To become a resource and catalysts for storage activism, both locally and statewide. To actively investigate, identify, assess, and promote storage solutions while presenting a unified, informed alliance to engage opposition. To become the umbrella organization for Yakima Basin storage supporters, forging a foundation for political and social reform that will result in increased storage to benefit irrigated agriculture, instream flows, salmon recovery, Yakima River ecology, and Yakima Basin communities. The Yakima River flows 215 miles from the outlet of Keechelus Lake in the central Washington Cascades southeasterly to the Columbia River, draining an area of 6,155 square miles. The Yakima River Basin is one of the most intensively irrigated areas in the United States. Population in the Yakima River Basin was about 238,000 in 1990.Increasing demands for water for municipal, fisheries, agricultural, industrial, and recreational uses will affect the ground-water resources of the basin. A better understanding of the ground-water flow system and its relation to rivers and streams is needed to effectively manage the basin’s water resources. In cooperation with the U.S. Bureau of Reclamation, the Washington Department of Ecology, and the Yakama Indian Nation, the USGS is studying the ground-water system in the Yakima River Basin and how it interacts with rivers and streams in the basin. The study includes data collection, mapping of hydrogeologic units and ground-water levels, and a computer numerical model to bring together all the information. Wine grapes and other high value crops grown in the Horse Heaven Hills could benefit from a reservoir at Switzler Canyon in southern Benton County. The public is invited to comment on potential impacts as Washington Department of Ecology and Benton and Klickitat counties prepare to conduct an environmental impact statement. Above, an aerial view of The Benches Vineyards in the Horse Heaven Hills AVA. 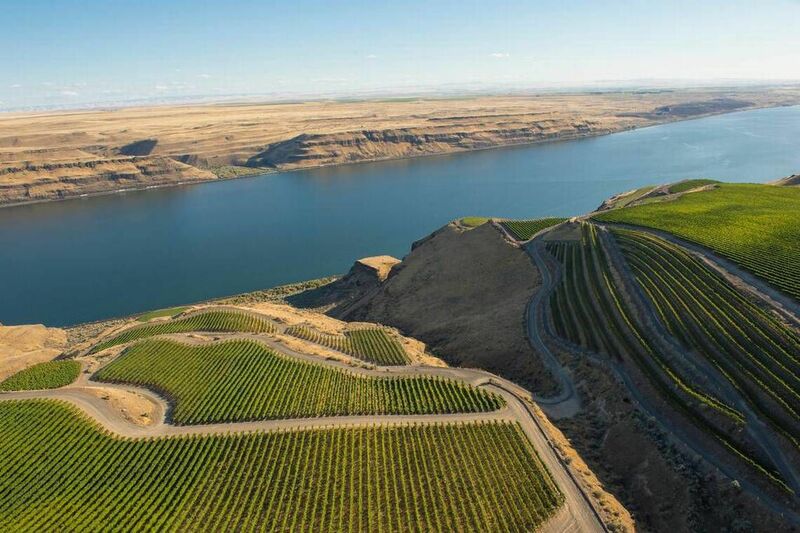 A bone-dry canyon south of Kennewick could hold the key to planting more wine grapes and other high value crops along the Columbia River. Switzler Canyon, an ancient waterway above McNary Dam, could be dammed and turned into a reservoir. With a capacity of 44,000 acre-feet — the water needed to produce 16.4 million gallons of wine — the reservoir would allow officials to issue new water rights and bolster supplies during dry times. If built, Switzler Canyon Reservoir would bank water in the spring, when it’s plentiful, and release it in the summer, when it’s not. Officials have been kicking the idea around for more than a decade. Now, the Washington Department of Ecology, working with Benton and Klickitat counties, is about to launch a two-year, $1 million environmental impact study. The public can shape the review by identifying economic and environmental issues now, before the process gets started. Switzler Reservoir in theory would offer farmers more reliable access to water from the pools behind the John Day and McNary dams. The reservoir would release water as needed to ensure the Columbia experienced no net loss of stream flow. Farmland in southern Benton County and eastern Klickitat would benefit the most. “It’s for new water rights in the Horse Heavens,” said Joye Redfield-Wilder, spokeswoman for the department of ecology. A study is no guarantee Switzler Canyon will ever become a reservoir. Funding the project will be difficult. A 2012 study by Aspect Consulting said the cost could be more than $300 million, adjusted for inflation. At 44,000 acre-feet, the Switzler Canyon Reservoir is far smaller than Black Rock Dam, a 1.7 million acre-foot behemoth proposed for the Yakima Basin some 20 years ago. Black Rock would have been filled with water pumped from the Columbia when water ran high and power rates were low. Conceived to bank water for droughts, when junior water rights holders see their water curtailed, Black Rock would have been one of the largest dams of its kind. Though advocates continue to push the project, its multi-billion dollar price tag has kept it from advancing. A former Benton County official who worked on Black Rock said it is effectively dead. The association’s board opposed Switzler last year, calling it financially unsound. Olsen said the board will review it again, but he doubts its position will change. Irrigators feel the $1 million the state allocated to the EIS would be better spent on conservation measures in the Roza Irrigation District. That would yield near-term water savings, Olsen said. The view from Switzler Canyon looking south toward the Columbia River. The Washington Department of Ecology, Benton and Franklin counties are contemplating a 44,000 acre-foot reservoir to provide irrigators with more reliable access to water in the summer. Adam Fyall, Benton County’s sustainable development manager, said the idea is worth exploring. As drought years arrive with greater frequency, it’s important to address summertime shortages that harm agriculture. Storage is a critical piece of the picture. Switzler is the best of the options studied over the past decade. To move forward, it will need a champion, possibly a new utility district to develop, maintain and operate it. It would have to offer water at a price irrigators are willing to pay, but it won’t be low-cost. High-value crops such as wine grapes could make sense. A source of funds has not been identified, but could include a mix of state and federal dollars and revenue bonds backed by user fees. From above, Switzler Canyon has the jagged shape of a two-point antler, with one long prong and one shorter one. The canyon narrows as it reaches the Columbia. It’s mouth is near a pump station operated by Easterday Farms, on the Washington side, east of Plymouth and across the water from Oregon’s Hat Rock State Park. A 320-foot earthen dam would block the canyon at the the channel. As with Black Rock, Columbia River water would be pumped via an 83-inch pipe to the reservoir when the river is high and power is cheap. The reservoir is not intended to serve boaters or recreation since the property is privately owned by Easterday and its neighbors. The owners have given preliminary approval to evaluate the concept, said Fyall. It would affect habitat and attract water-oriented species to the area. There is no current plan to equip the dam with power generators. 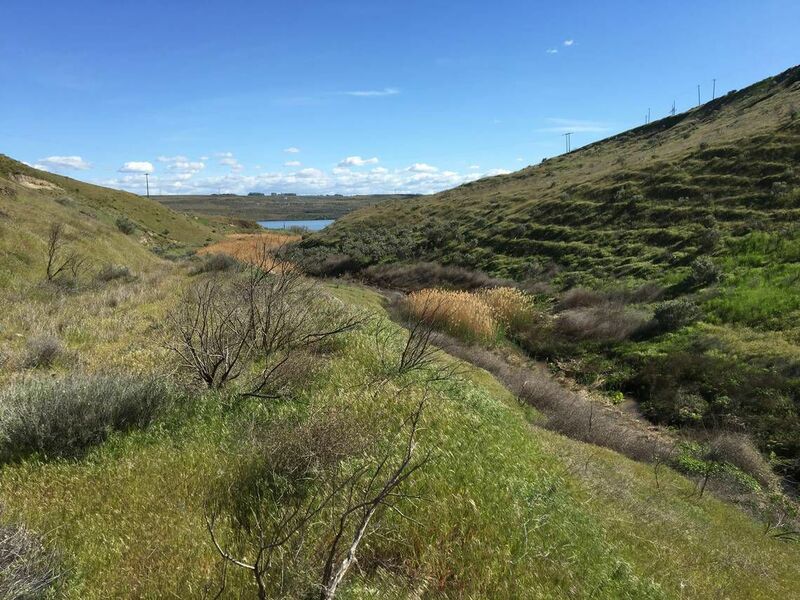 YAKIMA, Wash. – The Bureau of Reclamation has completed a draft Yakima Basinwide Tributaries Programmatic Investigation Report. The report describes potential projects to enhance water supplies, improve habitat conditions, and benefit federally listed fish species in tributaries throughout the Yakima River basin. The study was completed under the Yakima River Basin Water Enhancement Project (YRBWEP) in coordination with the Yakama Nation, State of Washington, National Marine Fisheries Service, and Yakima Basin irrigators. Enhancement measures such as fish passage, water conservation, floodplain reconnection, and habitat restoration may be considered for various tributaries in the basin, based on identified needs. Any future project implementation will involve opportunities for public involvement as well as participation by the Yakama Nation, State of Washington, water users, and other stakeholders. To obtain copies of the draft report, contact Jason Romine at jason_romine@fws.gov. The document is available online at: https://www.usbr.gov/pn/programs/yrbwep/phase2/tribhab/index.html. Written comments should be addressed to Jason Romine, U.S. Fish and Wildlife YRBWEP representative, Bureau of Reclamation, 1917 Marsh Road, Yakima, Wash., 98901-2058. Comments will be accepted until August 31, 2018. Crucial federal funding to improve the Yakima River Basin’s water supply is once again before Congress, but language in a House bill could spell trouble. Jerry Rank is busier than ever with rural landowners who want domestic wells drilled before Jan. 1, when new county rules imposing permits and fees for new wells take effect. Rank says he’s drilling from one to three wells a week in unincorporated areas of Yakima County and that his calendar is particularly booked in December. Until now, rural domestic wells — those drawing less than 5,000 gallons a day to serve homes, small businesses and livestock — have been exempt from requiring a water rights permit. And there was no charge for the water used from the wells. That’s all about to change in most of rural Yakima County, where new rules will fundamentally change how development will occur there. There’s only so much water in the Yakima Basin to go around, and Yakima County officials say they want to avoid the quagmire that occurred in Kittitas County several years ago when senior water rights holders sued the county, saying its approval of rural housing was affecting their water supplies. As a result, some property owners couldn’t build homes unless they first acquired water rights. In a similar case, the state Supreme Court ruled Whatcom County failed to protect water resources by allowing new wells to reduce flows in streams for fish and other uses. The court said counties must ensure that water is physically and legally available before issuing building permits in some areas. Because of the ruling, some counties temporarily stopped some rural development, leaving angry and frustrated property owners unable to build. To ensure rural development can continue, Yakima County plans to establish a water utility. It will acquire senior water rights and require a permit, plus charge service and usage fees on all new rural domestic wells in unincorporated areas of the county. The county would retain control of those water rights. Revenue from the county’s utility would be used to buy more senior water rights in the future to be used for rural development. Commissioners expect to approve an ordinance establishing the utility sometime next month. But not everyone is happy with the proposed utility, or agrees with the Supreme Court ruling. The Yakima Association of Realtors is concerned and has its legal experts reviewing the proposed utility, said president-elect Alice Villasenor. Yakima County Commissioner Ron Anderson, former owner of Dedicated Realty, said he hasn’t received any complaints about the proposed utility from the real estate community but added people in general need to become educated about why the utility is needed. Yakima County has received a $500,000 state grant to buy the initial round of water rights to kick-start the utility. Meanwhile, the state Department of Ecology has also loaned the county a senior water right of about 100 acre feet — enough for about 1,000 homes — until the county closes on a water rights purchase from a private holder. The county expects to close the deal by the end of the year, county Commissioner Mike Leita said. Water rights in Yakima County can cost anywhere from $3,500 to $5,000 per acre foot, said water rights consultant Dan Haller with Aspect Consulting, which has offices throughout the region, including Portland, Seattle and Yakima. An acre-foot is enough to cover an acre with one foot of water or supply water for up to 10 homes. Landowner Matthew Bower, who recently had a well drilled on his property north of Zillah, said people choose rural property to escape the tighter government regulations of city life and the utility undermines that. He won’t be impacted because his well went in before the utility is in place. Leita, who has worked on the water issue for nearly a decade, said there’s only so much water available and nearly every drop must be accounted for. Yakima County isn’t alone. Other counties across the state have faced, or will face, similar challenges. Yakima is somewhat ahead of the curve in that it saw what happened in Kittitas County several years ago and began planning its water utility as a result. In 2009, senior water rights holders in Kittitas County sued the county, saying they had been impacted by a proliferation of rural domestic wells exempt from water right permits. As a result, a moratorium on new rural construction was enacted in Kittitas County. The halt of anticipated construction dampened revenue streams and the overall economy in the county, said Jeremy Bach, president of the Washington State Groundwater Association. That’s a scenario Yakima County commissioners say they want to avoid. The Kittitas County shutdown ushered in private water banks, in which senior water rights holders began to sell water rights at a retail, rather than wholesale, price to landowners wanting to build, Bach said. Kittitas County now has a mix of private- and county-operated water banks. The location of a proposed well determines which type of bank will be used, he said. Under Kittitas County’s water bank, landowners have two options, one for those who will use their domestic wells to water their yards for $3,995 a year, and one only seeking household use for $3,080 a year. Both options also charge an annual $180 metering fee. A third option allows residents to haul water from somewhere else in the event a well cannot be drilled and costs $1,880 a year. The water brought in requires a mitigation certificate accounting for where the water was drawn. Yakima County’s water utility is cheaper than most municipalities. • Phil Ferolito can be reached at 509-577-7749 or pferolito@yakimaherald.com. Follow him on Twitter at philipferolito@twitter.com. YAKIMA, Wash. — Come January, new rural domestic wells in unincorporated areas of Yakima County will cost landowners $1,150 in connection permits and meter installation fees in addition to routine service and consumption fees. On Tuesday, Yakima County officials unveiled to a dozen builders, lenders and real estate agents details about the county’s water utility, a plan intended to ensure enough water for rural development well into the future. Until now, rights to most domestic well water was considered to be the property owner’s. But water rights to any future domestic wells belong to the county under a program to assure development can occur without risking legal challenges. In addition to the one-time permitting and hookup and metering fees, landowners would pay a $35 quarterly service fee as well as annual consumption fees based on the amount of water used. The average annual consumption cost would be about $177 a year based on 460 gallons a day, which is the typical consumption of a family, according to county Public Services Director Vern Redifer. The rate is well below what most municipalities charge, Redifer said. Joe Walsh, government affairs director for the Central Washington Home Builders Association, likes the plan. It’s no secret water in the county is overallocated, and senior water rights holders have long worried about the impact exempt rural domestic wells are having on their water availability. Exempt wells are those that draw less than 5,000 gallons per day to serve homes, small businesses, noncommercial lawns, gardens and livestock. Until now, these wells have been exempt from requiring a water rights permit. Problems with the overallocation of water stemming from too many exempt wells severely impacted Kittitas County, where a moratorium was enacted on new rural domestic wells after senior water rights holders sued the county, saying they were hurt by a proliferation of exempt wells. In effort to avoid such a situation here, Yakima County leaders, environmentalist, and the largest senior rights water holders in the area — including the Yakama Nation and the Bureau of Reclamation — began meeting to devise a water plan. Part of that is the county’s water utility, or the Yakima County Water Resource System. Under the system, the county purchases senior water rights and used them for rural development. The county has acquired enough senior water rights to allow for 100 homes to be built a year for the next 10 years, Redifer said. Commissioners expect to adopt an ordinance establishing the water utility by December with implementation beginning in January. A photo provided by Roza Irrigation District shows the exposed narrows between Upper Lake Kachess and Lower Lake Kachess during the 2015 drought. At long last, an end is in sight. The biggest, longest, most expensive legal battle in Washington state history is finally drawing toward a conclusion. Dating to 1977, the case grew out of a potentially catastrophic drought that threatened thousands of Yakima Valley farm families and further endangered the region’s iconic, but ailing, salmon runs. What has emerged — after 40 years of litigation known as adjudication — is a system that clarifies water rights, brought together former adversaries and put the Yakima Basin ahead of other Western basins where water conflicts remain unresolved in the face of looming issues like climate change. None of that was in play in January 1977 when federal Bureau of Reclamation rocked the Valley with a forecast that water users, primarily in the Roza and the Kittitas Reclamation districts, would receive a mere 6 percent of a full supply. 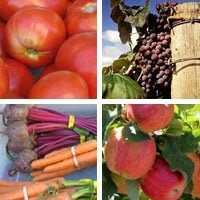 High-valued crops such as fruit, grapes, hops, mint and timothy hay would wither and die with so little water. Looking back four decades, it’s hard to recall how dire the situation seemed. Worried lawmakers in Olympia approved an emergency cloud seeding program. Some 400 temporary emergency permits were issued for new wells. In a measure that went nowhere, some proposed building a $90 million canal to carry water from the Columbia River to the Yakima basin. The looming shortage only served to exacerbate the long-standing problem of too many water claims for a limited supply of water. Cities, irrigation districts, individual farmers, the Yakama Nation and others all claimed more water than might be available even in a good water year. Whose water needs are met and whose are denied is a basic tenet of Washington water. The oldest rights have first call on water. When not enough is available to meet all needs, the older, senior rights are met first and the junior users, like Roza and Kittitas, share what is left. The two districts have entirely junior rights. The early 1977 outlook ultimately proved inaccurate because of a forecasting error. But by then the fight was on. Irrigators were in court to challenge the existing water distribution formula. The Yakama Nation, with its time immemorial right to water for its needs, asked a federal court to formalize its pre-eminent position in the water rights pecking order. At the suggestion of a federal judge who heard the Yakama Nation’s request, the state Department of Ecology decided to reach into its arsenal for a tool to bring some order to the fear, confusion and uncertainty. That mechanism was the adjudication law. The first person listed in Ecology’s petition for an adjudication was James Acquavella, who simply wanted to know if he was going to get the water he believed he was entitled to in order to irrigate his 5 acres. And thus began the long saga of Ecology v. James Acquavella — or simply the Acquavella Case. On Oct. 12, 1977, Ecology filed a lawsuit naming individuals, irrigation districts, municipalities, the Yakama Nation and federal rights for agencies like the U.S. Forest Service and others as defendants. The case required all claimants to show proof of a valid right. Ultimately, that case would involve 2,500 water rights across the 6,000-square-mile basin, stretching from near the Cascade crest to the mouth of the Yakima River at Richland. Over the years, elements of the case went to the state Supreme Court four times. Alan Reichman, a senior counsel with the Washington Attorney General’s Office representing the Ecology Department, said the sheer quantity and complexity of private, state, federal and tribal water rights contributed to the time the adjudication consumed. But the effort has value that will continue well into the future, he said. Yakima County Judge James Gavin recently signed a proposed final order that will conclude the case next year after the thousands of parties to the case have a chance to file challenges to the final report. When complete, as early as next April, every water user will know the amount of their right to water and where theirs stands in relation to all others. Scott Revell, manager of the 72,000-acre Roza Irrigation District, a major claimant in the case, said the case provided certainty for all water users. As a result of the 1977 drought and subsequent Acquavella case, the basin today has modern fish ladders and screens at basin dams to aid fish passage. More water is flowing for fish in the Yakima River because of conservation programs, improved efficiency and modern facilities for irrigation. Small but important fish spawning and rearing streams like Kittitas County’s Manastash Creek and Cowiche Creek, west of Yakima, are carrying more water. It also helped set the stage for the what’s ahead — a push for funding for new storage to insulate the basin from future droughts, led by a broad coalition of interests, including irrigators, the Yakama Nation, and state and federal agencies. Reichman agreed that the Yakima River Basin is now far ahead of other basins in the West where conflicts over water remain unresolved in the face of looming issues like climate change and its potential impact on water supplies. Water for the Yakima Basin: The water remaining in the 5 reservoirs is at 50% of capacity. With higher than average temperatures and an irrigation season that will need stored water for approximately 45 more days, it appears there will be enough stored water for 2017. The percentage of total water available in all the reservoirs drops 1-2% per day. Last year’s large snowpack and spring rains provided 2/3 of the water needed this summer. The Norse Peak and Jolly Mountain fires are destroying large amounts of cover in the Cascade Range. That cover helps hold the snowpack which supplies the water needed for the Yakima Basin. That and possible climate change contribute to the need for additional storage. In 2015 about 85 percent of Washington was determined to be in extreme drought status, and temperatures were the warmest ever recorded in the state, according to meteorologist Nic Loyd of Washington State University. The high temperatures caused precipitation that would have fallen as snow to fall as rain instead. Lake Kachess was drawn down to some of its lowest levels in years. The Washington state Department of Agriculture commissioned a study on the economic impacts of the drought in 2016. According to the report, the Kittitas County Reclamation District farmers lost $11.4 million from crop reductions in apples, oats, pears and grass hays. In Roza, the total loss was estimated to be about $75.7 million. The Wapato Irrigation Project estimated losses about $32.7 million. The study was done by surveying farmers in the district and extrapolating based on their losses. According to an analysis of the report done by the Washington State Academy of Sciences, the losses may have been exaggerated due to the higher market prices of commodities caused by the drought. The Academy of Sciences recommended the Department of Agriculture use a known economic model in future reports. 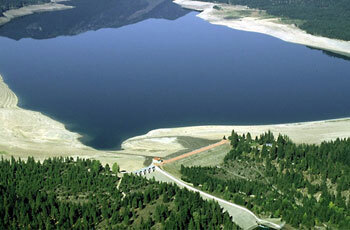 YAKIMA, Washington – The Bureau of Reclamation announced that it will begin the annual “flip-flop” operation in the Yakima Basin by gradually reducing flows out of Cle Elum Reservoir in the upper Yakima River basin and increasing flows from Rimrock Reservoir affecting flows in the Tieton and Naches Rivers. 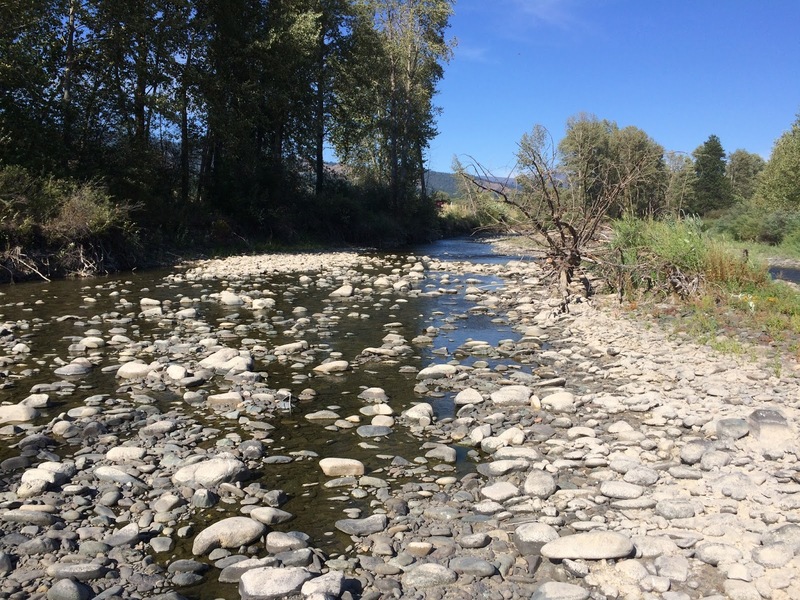 The purpose of the “flip-flop” operation is to achieve and maintain relatively low flows in the upper Yakima, Cle Elum, and Bumping rivers where spring Chinook salmon spawn. These lower flows are closer to natural flow conditions and are therefore more helpful to successful spawning and incubation of salmon eggs. This operation also reduces impacts on irrigation water supply by allowing for lower flow releases throughout the winter to improve reservoir storage for the coming season. As part of the process, on or about Sept. 8, Reclamation will begin diverting water down the Kittitas Reclamation District’s Spillway 1146 into the Yakima River near Thorp. Reclamation will install buoys that will be in place from Sept. 8 until about Oct. 21. Recreationists are strongly advised, for their safety and well-being, to portage around the buoys and stay out of the dangerously turbulent flows. “Those who are enjoying the river should definitely avoid the dangerously turbulent water in the area where the spillway water pours into the river,” said Chuck Garner, Yakima Project River Operations supervisor. Flows out of Cle Elum Reservoir have been gradually decreasing since Aug. 1 from a high of about 2,700 cfs and will continue to decline to a low of about 180 cfs in early September. Flows from Rimrock Reservoir are expected to be in the 900 to 1,200 cfs range by Sept. 1 and increase to about 1,800 cfs by mid-September depending on irrigation demands and weather conditions. Streamflow changes will occur gradually during the Labor Day holiday weekend. Streamflow information can be obtained by calling (509) 575-5854 or on Reclamation’s website at: http://www.usbr.gov/pn/hydromet/yakima/index.html. It’s time to consider how to bring water from the Columbia River to the Yakima Basin. With more frequent droughts predicted, a new pump storage project similar to the former Black Rock Reservoir site would provide the water necessary to meet the needs for instream flow (fish), out-of-stream use (agriculture), and economic and municipal growth. Columbia River flows have increased for decades. 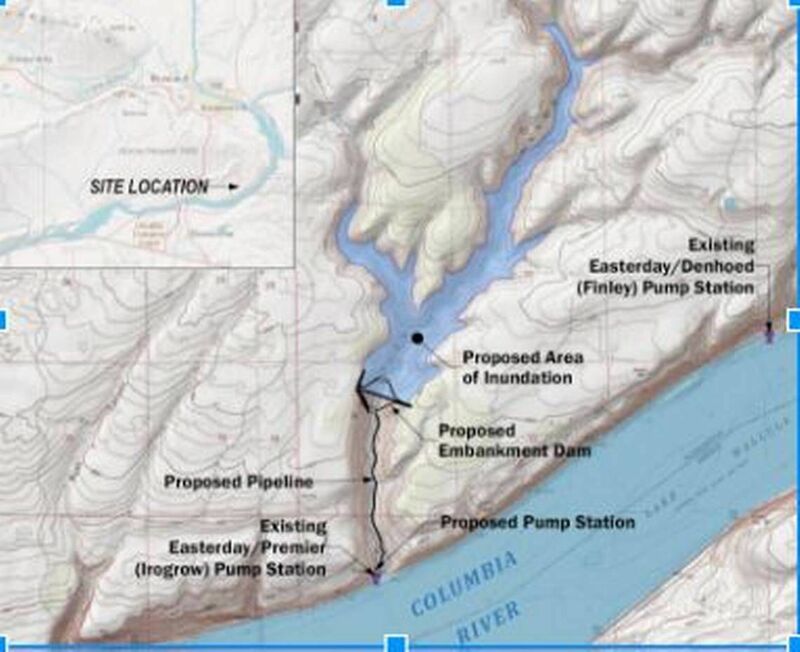 Pump water into the new Pump Storage Project during the spring when the Columbia River runs high and the wind blows. Use the electricity generated by the wind to operate the pumps. Design the new Pump Storage Project to provide a 70% supply of water to cover proratable water rights over a two year drought. Using Columbia River water for Sunnyside and Roza Irrigation Districts will allow the water remaining in the reservoirs in the Yakima Basin to be used for instream flow and water for proratable irrigation districts. The increased water made available in the Yakima Basin’s reservoirs would provide additional water in the Yakima River to ensure the success of the Sockeye population, recharge the flood plain, and make more water available for fish passage. With the reduction of ground water availability, a more permanent source of irrigation water would be needed to offset groundwater losses. A pump storage project, such as Black Rock, would make private-public financing more viable. Seepage from the new Pumped Storage Project would not affect Drinking Water Standards (SWS) on the Hanford Reservation. Se Section V of the Draft Tank Closure and Waste Management Environmental Impact Statement for the Hanford site, Richland, Washington (Draft TC & WMEIS). By using pumped storage for irrigation, additional water from the Yakima River would be made available to increase the flows in the Columbia River during summer and fall. The prediction of more years of droughts in the Yakima Basin make it necessary to access Columbia River water which would maintain and improve fish passage and agriculture production. Electric power generation would provide electricity for the Bonneville Power Administration Electrical Distribution System. BOISE, Idaho- The Bureau of Reclamation has awarded a $2.3 million contract to Redside Construction, LLC, a small business based in Bainbridge, WA, to increase the height of radial gates atop Cle Elum Dam. Once shoreline protection measures are put into place, the work will allow for a three-foot increase of the reservoir’s pool level. The Cle Elum pool raise project is a component of the Yakima River Basin Integrated Water Resource Management Plan, the result of a partnership of stakeholders that has identified a comprehensive approach to water resource management and ecosystem restoration. This first phase of construction could begin as early as November and is to be completed by July 2018. Redside Construction specializes in marine construction, heavy civil projects and general public works. It has completed hundreds of private and public projects since 1984. Click Here for full WSU Washington State Water Research Center Benefit/Cost Analysis of the Draft Report on the Yakima River Basin Integrated Plan.